A report questioning the economic viability of India’s plan to build 12 new nuclear-powered power plants with untested technology was released, even as Prime Minister Narendra Modi arrived to attend a global summit on nuclear security in USA on March 31. In a report by Institute for Energy Economics and Financial Analysis (IEEFA) called “Bad Choice: The Risks, Costs and Viability of Proposed US Nuclear Reactors in India”, the institute’s director of resource planning analysis, David Schlissel, concludes that the proposed nuclear plants are neither economically nor financially viable. “They would take much longer than expected to build, they would result in higher bills for ratepayers, and, if they are built, they might not work as advertised,” Schlissel said in a statement. 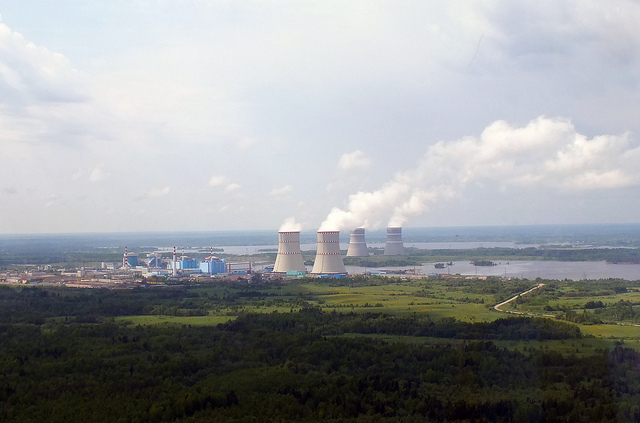 The Government of India has proposed to enter into contracts with Toshiba-Westinghouse (Westinghouse) and General Electric-Hitachi (GE) to build 12 new nuclear power plants on two separate sites in India using new, untested technologies. Six of these plants, to be located at Mithi Virdi in Gujarat, would use a new Westinghouse AP1000 reactor design. The report says that the projects, where construction has begun, have run into technical problems, cost increases and delays. Construction of plants using this design has not been completed anywhere in the world and there are no operational AP1000 plants. The remainder six plants will be situated in Kovvada, Andhra Pradesh and would use GE’s Economic Simplified Boiling Water Reactor (ESBWR) design. This design is not under-construction anywhere in the world. If approved, India would be the first country to experiment with its construction and operation, the report concludes. Capital costs of these 12 plants would be much higher as compared to solar energy projects and consumers will have to pay more for electricity from the plants than they would for solar energy, the report states. The report explains that the first new reactors in the expansions at Mithi Virdi and Kovvada will take 11 to 15 years to build, even if possible delay is not considered. It says that none of the new reactors would generate power until 2029-2032. The remaining units at each project will be completed in late 2030s. Even if time and cost overruns are not considered, both projects would require massive investment over the next two decades, ranging from Rs 6.3 lakh crores (US $95 billion) to Rs 11.3 lakh crore rupees ($170 billion). This would limit the government’s capability to undertake other electricity sector expansions during the period, the report concluded. Reason like lengthy land-acquisition process, complicated liability issues may lead to further delays. “All of these can be expected to lead to substantial, and perhaps indefinite, delays and significant increases in capital costs, possibly even far beyond those we have assumed in our analyses,” Schlissel said. 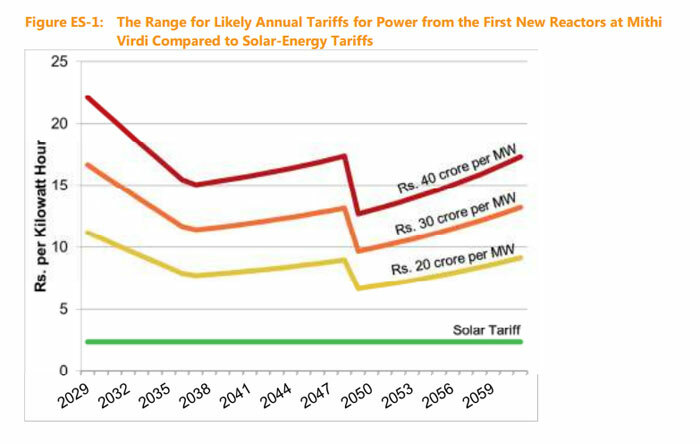 The report says India would do well to put money instead into its abundant solar energy, which would be less expensive and less risky. 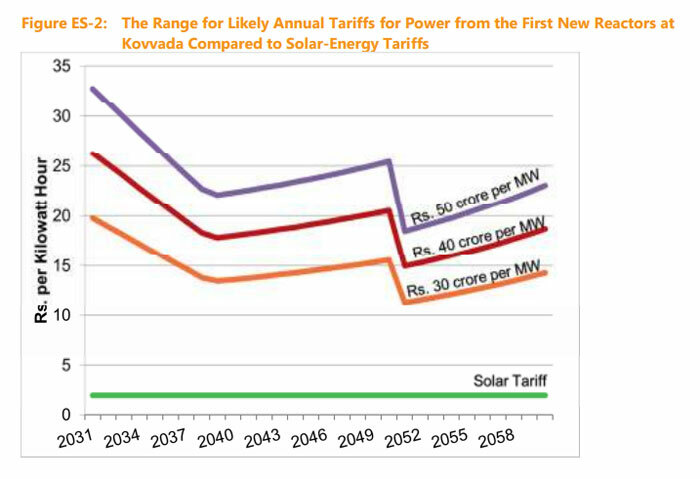 “Investing in new solar photovoltaic (PV) capacity would be a much lower-cost, significantly less environmentally harmful and far more sustainable alternative to the Mithi Virdi and Kovvada projects,” Schlissel added. Meanwhile, US President Barack Obama is hosting the fourth Nuclear Security Summit in Washington to discuss the increasing fear of pilferage of nuclear weapons to terrorist organisations. Around 50 heads of the countries will participate in the final edition of the summit that was first held in 2010. It is since being organised every two years. How does the Budget score on energy front?